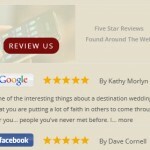 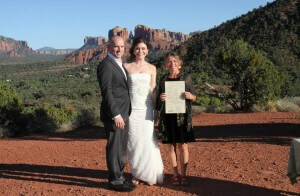 My husband, Reverend Akal and I are so pleased that you have found us at Sedona Destination Weddings. 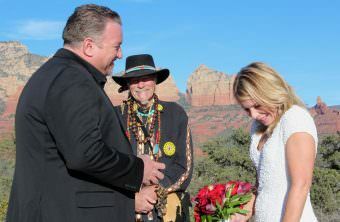 It is a great honor and a privilege for us to be a part of so many beautiful, special and loving moments in people’s lives. 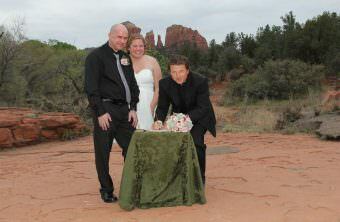 We both love to officiate at weddings. 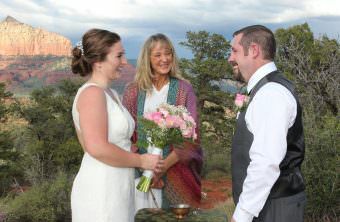 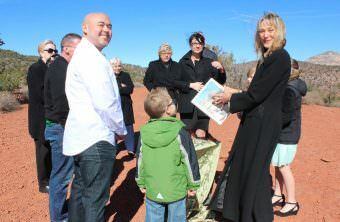 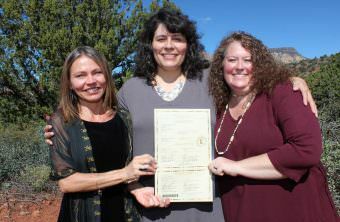 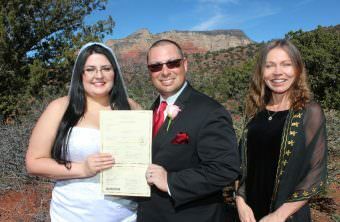 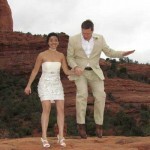 Weddings in Sedona are such positive, happy, life and love-affirming celebrations. 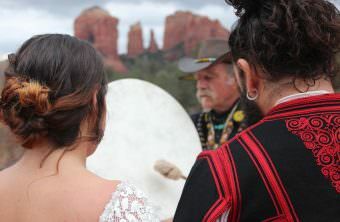 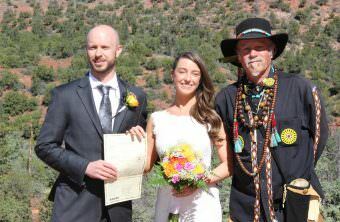 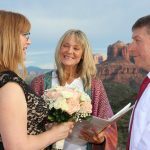 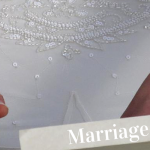 We would love to assist you in creating the Sedona wedding ceremony of your dreams, a ceremony unique to you that will truly express who you both are. 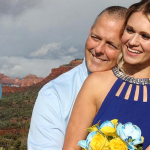 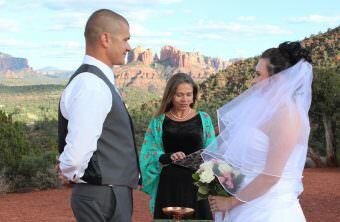 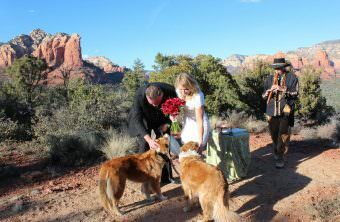 Sedona and her beautiful red rocks and mystical vortexes will be an awesome backdrop for your special day. 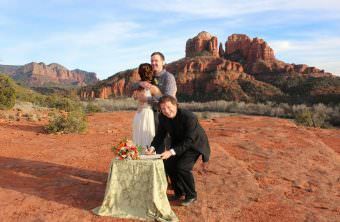 There are so many very powerful wedding sites to choose from here in Sedona, ranging from red rock cathedrals, vortexes with sweeping vistas to an Old Spanish style chapel. 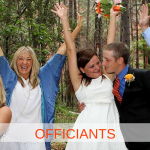 We will help you choose the perfect place for you. 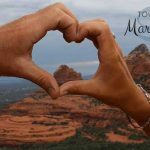 It will become your special place that you can return to many times in person on your anniversaries or simply in your hearts and dreams. 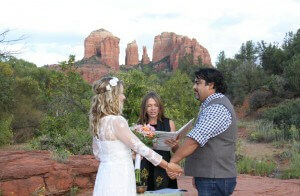 Reverend Akal and I spoke our vows under a sacred Juniper Tree in the shadow of Sugar Loaf. 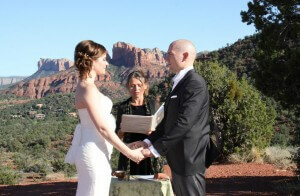 This red rock mound has become a very dear place of retreat for us over the years. 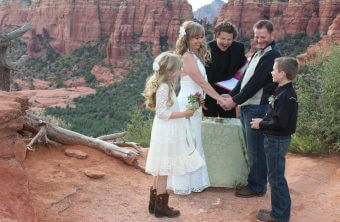 We call it the Wedding Tree and often go there to reaffirm our love and commitment. 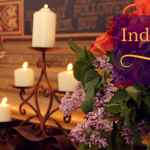 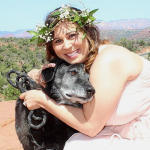 As a young girl, Yana had a deep fascination and interest in the spiritual realms and, as a young adult, engaged in a three-year program to receive her Masters of Divinity from the Sanctuary of Light in Galisteo, New Mexico. 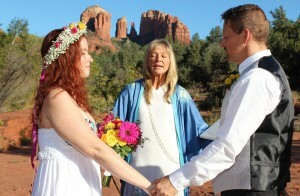 She is also ordained through the Universal Life Church. 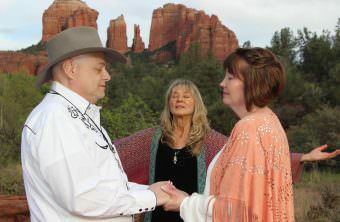 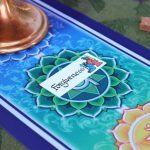 Yana was called to Sedona in 2001 where she has been holding sacred space for many different kinds of ceremonies, weddings, vow renewals, blessings and shamanic healings. 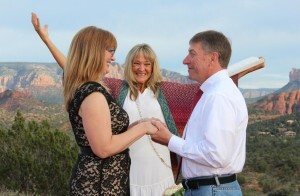 Yana has devoted her life to Spirit and finds great joy in being of service in this way. 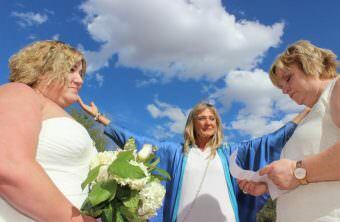 Reverend Scot finds great Joy and fulfillment in being part of the most important day of a Couple’s Life. 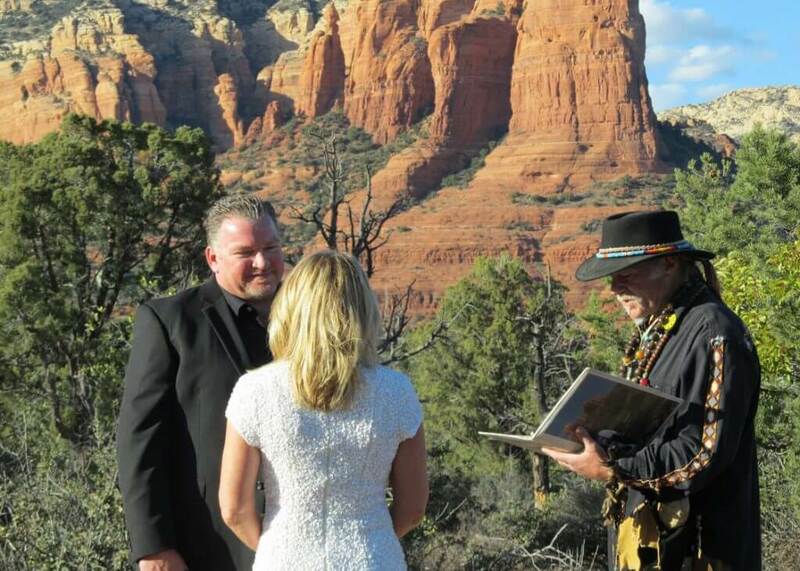 He is a Gnostic Priest and has been performing weddings and Vow Renewals for many, many years. 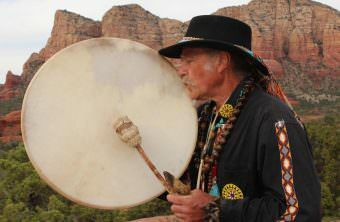 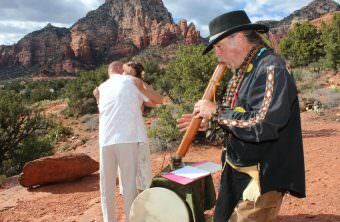 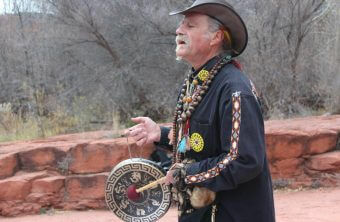 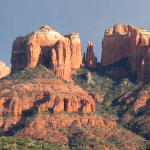 He revels in performing Ceremonies in the beauty and majestic landscape of Sedona. 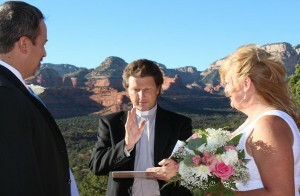 Reverend Leslie has been Officiating weddings for many years. 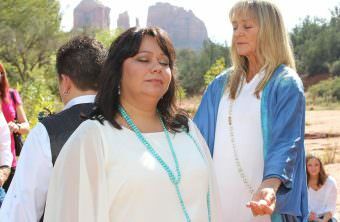 She brings with her a loving and deeply grounded energy. 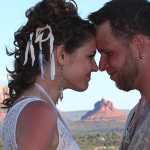 Her passion is to create a wonderful and memorable experience for all the Couples she works with. 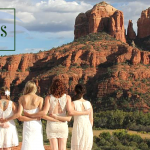 We look forward to meeting you and being a part of your special day.